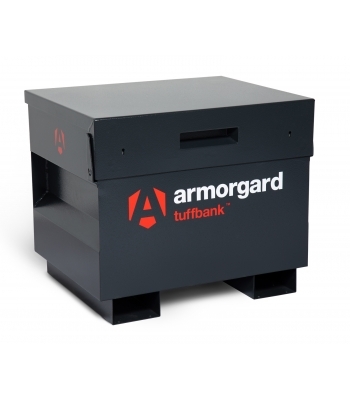 Tuffbank Site Box. New & improved version tested and certified by Sold Secure & Secure by Design. 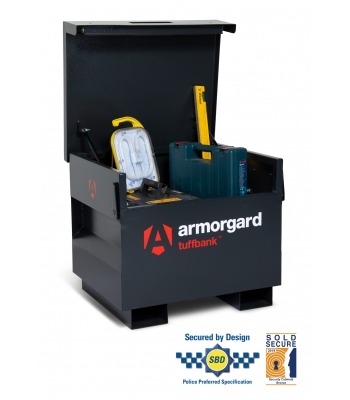 Includes a host of innovative features such as anti-jemmy system, hardened steel plates, steel reinforcements & inset handles requiring less space. Extremely strong, sturdy and secure and incredible value for money. Ultra robust 5-lever deadlocks on both sides & anti-cut rollers in deadbolt, strong chubb-style keys supplied. Dataplate and serial numbered for overnight key replacements. Gas struts fitted as standard plus the super-safe new SlamStop lid stay. 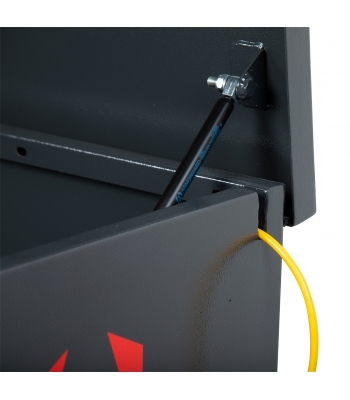 Cable passing point for up to two cables. Castors also available. 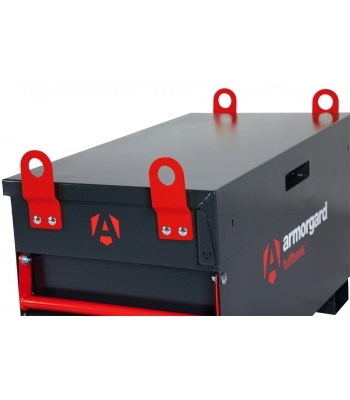 6" Casters to suit, Heavy duty rubber tyred on a steel centre, 2 x fixed and 2 x braked swivel, complete with fixing kit, all suitable boxes have pre-drilled holes in the fork pockets. Fitted or loose. Our universal lifting eye kit includes 4x lifting eyes, 4x rear brackets, 8x M10 coach bolts and 8x M10 lock nuts. Large 50mm eye diameter allows most rated shackles and hooks to pass through. 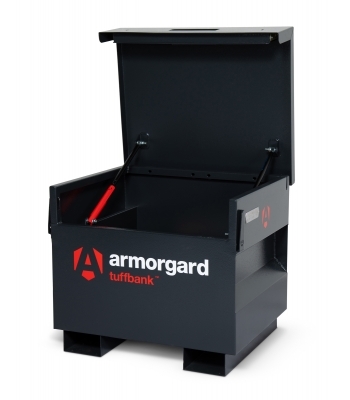 Can be retro-fitted to several Armorgard products, including some TuffBank models, CuttingStation, and more. Solid 8mm steel construction for ultimate strength. The kit fits approved products using 2x M10 coach bolts per lifting eye. The set of 4 lifting eyes has been proof-load tested for weights up to 3000kg.